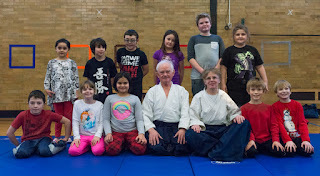 Visiting Shihan, Sensei Derm led class . 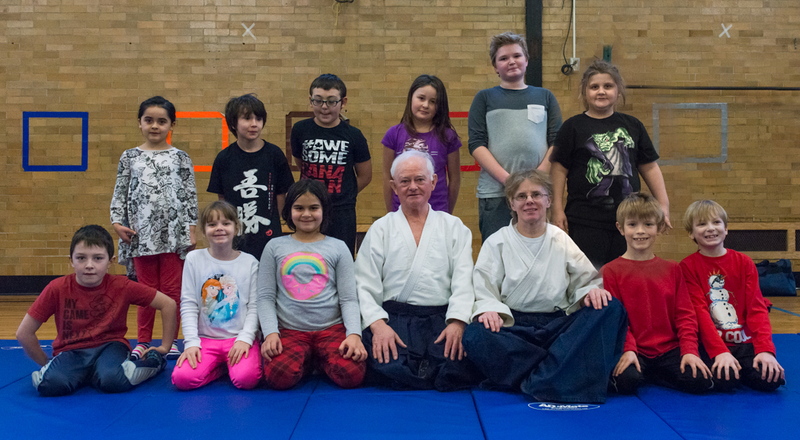 Sensei Colleen was proud of her students. 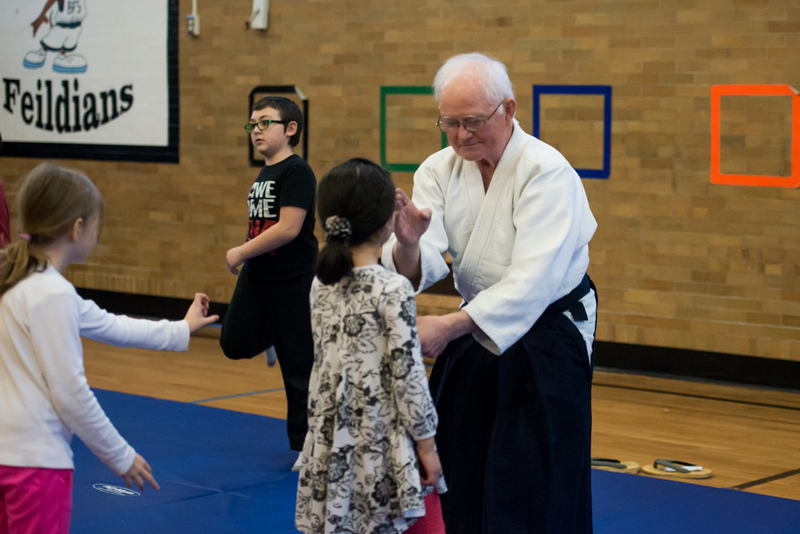 Sensei Collette assisted with testing as well. Sensei Colette, who assists regularly with the East End Aikido classes at the Bishop Field dojo looks on as the testing class begins under Sensei Derm. Sensei Colleen was very pleased with the testing results and to host Sensei Derm for the occasion! 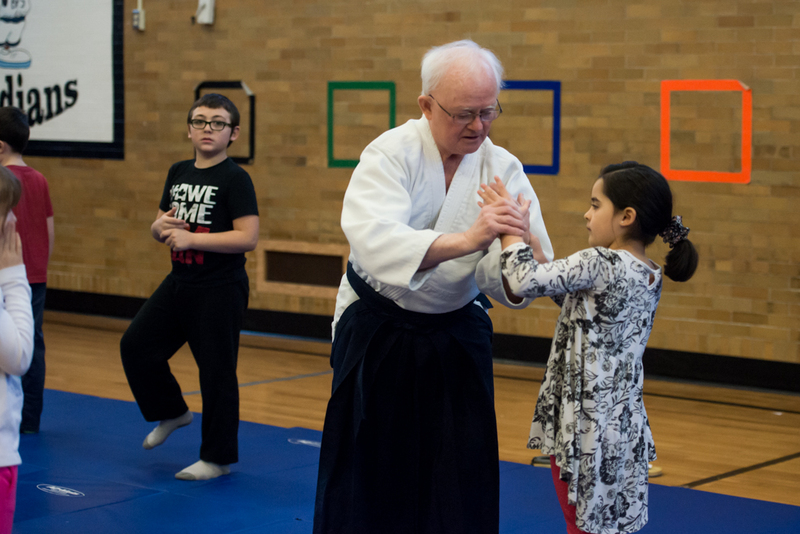 Sensei Derm, aikido Shihan, leads January class as they get ready to test for 6th kyu criteria, Junior Rankings.